Your gift to the Jack and Carol Aschenbrenner Family Fund with the Community Foundation of Northeast Iowa allows recommendations for grants to be made each year to support charitable causes that carry out the mission of the Community Foundation. Your gift to the ASPIRE TRP, Inc. Endowment Fund with the Community Foundation of Northeast Iowa will support ASPIRE TRP as it continues to provide benefits to individuals with disabilities through animal-assisted activities and outreach programs.  Your gift to the Elizabeth Axline Tannreuther Scholarship Fund with the Community Foundation of Northeast Iowa allows the Community Foundation to award financial assistance to students pursuing higher education. As the cost of tuition continues to rise, it is more important now than ever to diminish the barrier of affordability and allow students to focus on what is most important - their education. The Balik Family Memorial Scholarship Fund with the Winneshiek County Community Foundation awards financial assistance to senior graduates of South Winneshiek High School pursuing higher education. As the cost of tuition continues to rise, it is more important now than ever to diminish the barrier of affordability and allow students to focus on what is most important - their education. Your gift to the Benton County Conservation Foundation Endowment Fund with the Benton County Community Foundation will benefit the charitable activities of the Benton County Conservation Foundation. Your gift to the Bethlehem Evangelical Lutheran Church Endowment Fund with the Benton County Community Foundation will benefit the charitable activities of Bethlehem Evangelical Lutheran Church. Gifts to the Betty and Harlan Van Gerpen Fund with the Community Foundation of Northeast Iowa will benefit the League of Women Voters of Black Hawk-Bremer Counties for its information and educational work. Your gift to the Build Hope Capital Campaign Fund will support the special building project for House of Hope. Your contribution to this fund is critical to creating a new facility, located in Waterloo, that will expand transitional housing capabilities and help House of Hope serve more families headed by single mothers in Black Hawk County.